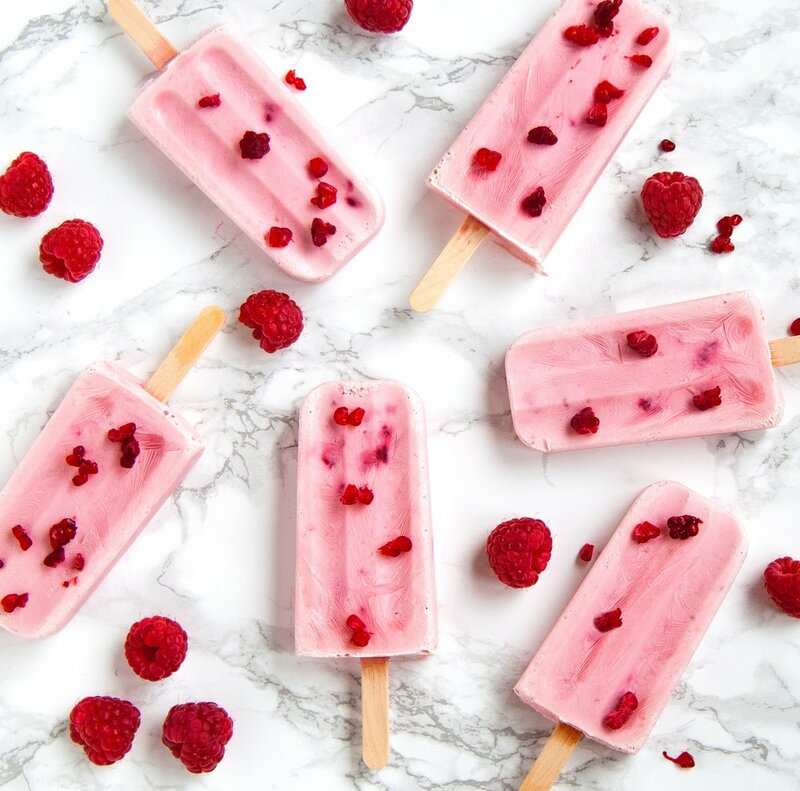 With Summer well and truly here, we’re fighting a constant battle with our minds as to whether we want to be bikini body ready… or reach for the ice lollies! You've probably noticed that when doing your weekly shop, it’s nearly impossible to find a healthy ice lolly, but is there anything better than an ice cold lolly on a hot Summer’s day?... We think not. For this reason, we’ve decided to treat you to 3 of our favourite healthy (and delicious) ice lolly recipes that you can make at home! Watermelons are around 92% water, making these delicious lollies the ultimate thirst quencher for a hot summers day! Not only this, but watermelons are packed with Vitamin A for skin and bone development and normal growth, B vitamins for brain health and normal metabolism, and potassium to regulate blood pressure. When eaten iced cold, watermelon is famously effective at battling pregnancy nausea, too! Research from the Technical University of Cartagena in Spain also found that watermelon juice, consumed an hour before a workout, can help to protect against muscle soreness, too. Its a win win! I don't know about you, but whenever it’s super hot outside the first thing I crave is a cold glass of orange juice (or even better, an orange juice ice lolly)! Orange juice itself has many health benefits such as boosting immunity, detoxifying the body and not to mention its packed with vitamin C! The high levels of vitamin C not only help protect and repair our cells but it is also great for skin hydration! Skin the mango and blend with the Savse Super Orange or fresh orange juice, coconut cream and cinnamon. Freeze in lolly holders overnight then Enjoy! You can store in the freezer and they will last for up to 2 months! These delicious ice lollies are cool, refreshing and thanks to the coconut milk and dates, deliciously sweet and creamy! Coconut milk is nutritious and rich in fibre, vitamins and minerals such as iron, selenium, sodium, calcium,magnesium and phosphorous. Whip these tasty treats up in less than 5 minutes and enjoy! DIRECTIONS: Remove the stones from the dates and peel the bananas. Place all ingredients into a blender and blend until smooth. Poor half of one flavour into a mould, allow it to freeze for one hour and then top the mould with the second flavour. Leave to freeze for at least 5 hours!